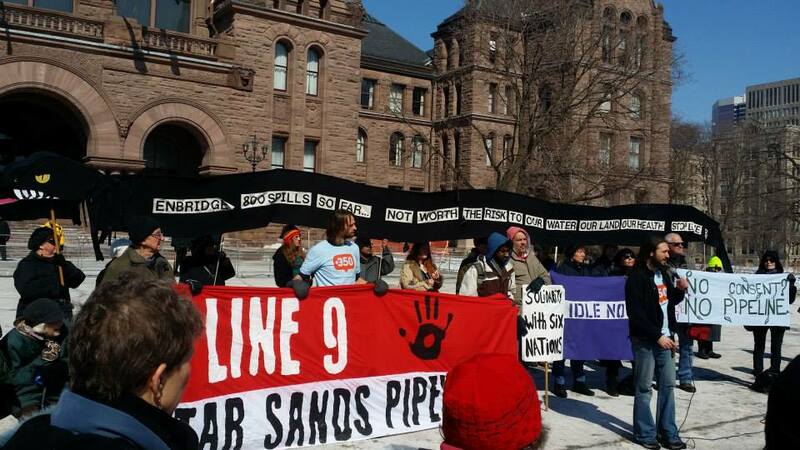 Against the recommendations of Canadians across the country, the National Energy Board (NEB) conditionally approved the request by Enbridge to allow the company to pump high-pressure diluted bitumen ("DilBit") through the old "Line9" pipeline. The pipelines passes through Toronto, as well as hundreds of other communities and waterways. The expansion it will allow of the Tar Sands, and the carbon pollution that it will enable, will destroy the lives of Canadians across the country, as well as devastating the climate globally. In response to the foolish ruling of the NEB, groups across Toronto came together to voice their disappointment that the NEB would approve something so clearly detrimental to Toronto, Ontario, Canada and the whole world. Toronto350.org also sent a press release out pledging action to stop Line9. The response received media attention from Global News, although we were disappointed to see that other news outlets failed to pick up on this important story. The Council of Canadians also highlighted the event. 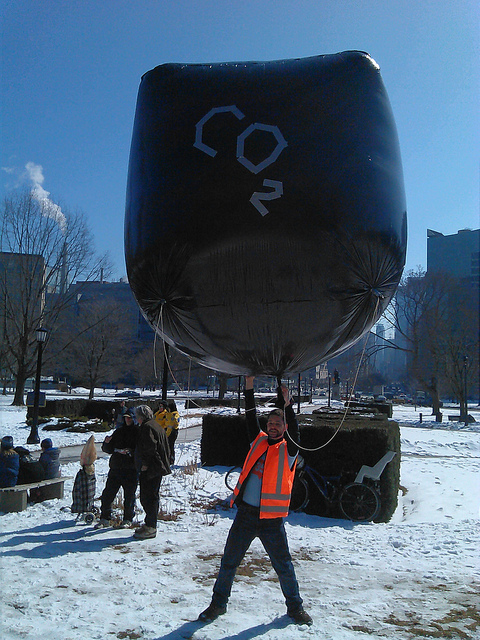 Several members of Toronto350.org spoke to the gathered crowd (who came out with just 24 hours notice), as well as inflating the "Carbon Bubble" to highlight that Line9 will only server to further inflate the financial bubble caused by vastly over-valuing the world's carbon assets.